This will be a quick post, for reference. 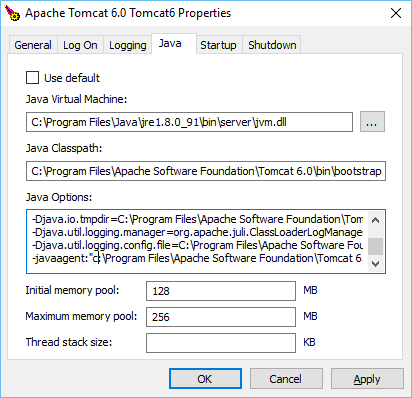 If you ever need to set the javaagent on Tomcat 6 running as a Windows service, you need to set it using tomcat6w.exe in the Java tab. -javaagent:"c:\Program Files\Apache Software Foundation\Tomcat 6.0\newrelic\newrelic.jar"
Note that the path to the javaagent needs to be a fully qualified path, and path separator is the typical Windows backslash.